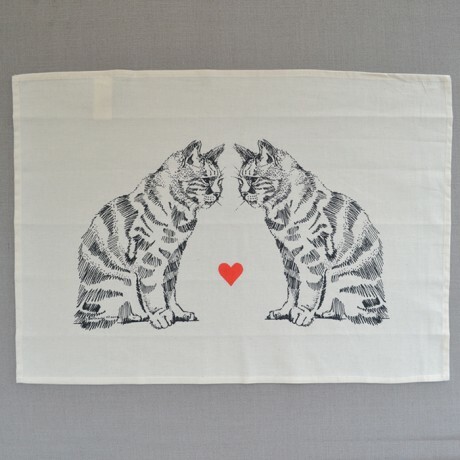 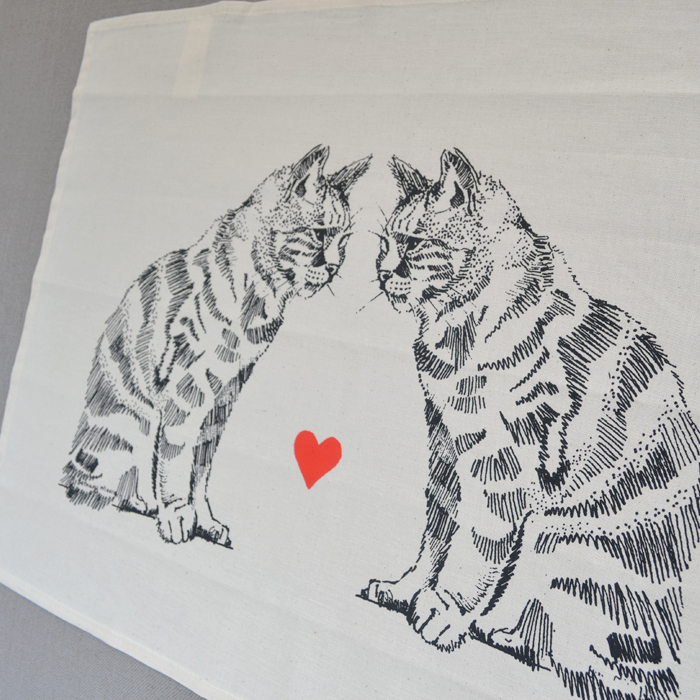 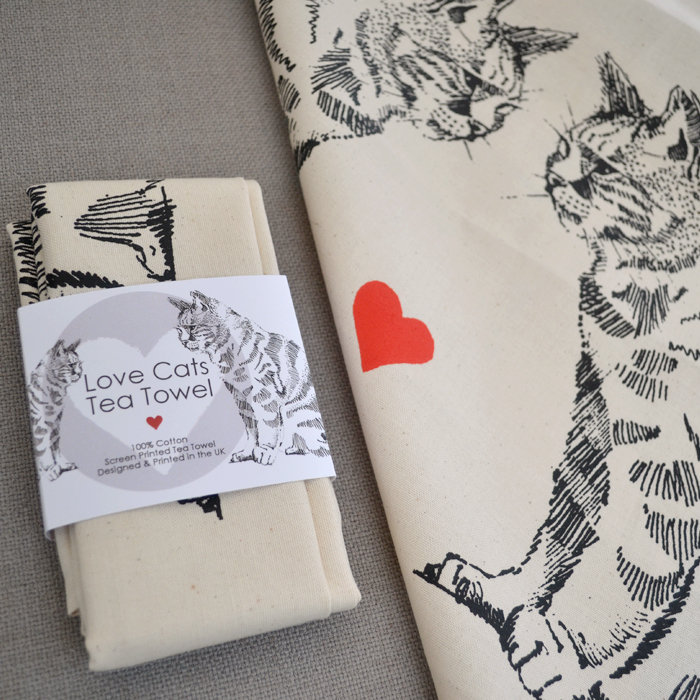 Our 'Love Cats' Tea Towel features two tabby cats looking deep into each others eyes, with a red heart to seal the deal. Perfect for cat lovers, new homes, anniversaries or, just because, this design is also available on our best-selling mug. The tea towels are professionally screen-printed in the UK from my original hand-drawn, fine-line illustration, onto a 100% cotton natural coloured background. Your tea towel measures 700mm x 500mm and is 100% cotton and machine washable at 40 degrees.